The billets loader transports the cut billet from the heater-log shear/saw system into the press. 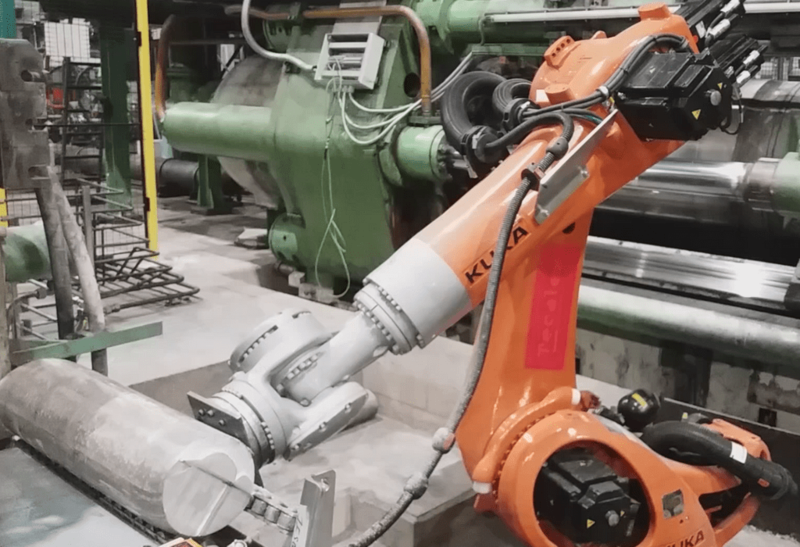 Fast and precise movements minimizing the dead cycle time and giving a high precision for billet positioning on the extrusion axis, which is a requirement for the front loading modern presses. It has an excellent reliability on repeatability movements. It allows flexible lay-out. With this equipment, the load axis and press axis don't need to match. 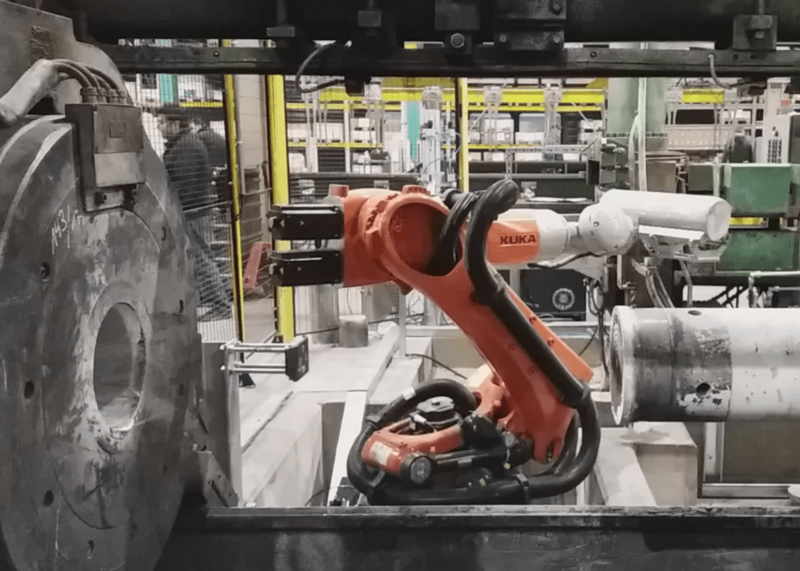 Even the hot shear/saw can be placed a little bit backward or forward if lay-out requires, and being this gap corrected by the robot.